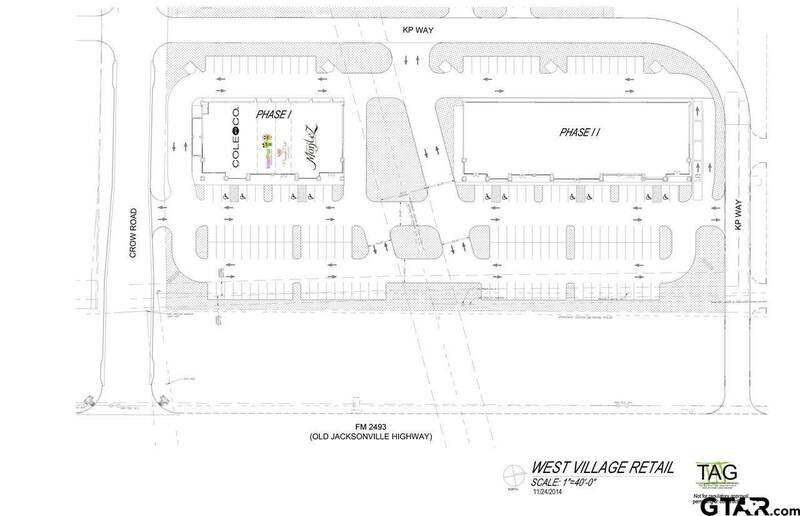 New Construction Retail Center, Multi-Tenant NNN Property; 2,000 sf Suite available - $3,000/mo + NNN; Approx. 19,500 sf available for lease; Can be subdivided, $18.00 sf/yr + NNN; 2.2 +/- acres, Shared access with multiple access points; Tremendous visibility from one of the major thoroughfares in the market. Old Jacksonville Hwy. is Tylers newest retail & residential growth corridor. Easy access with high traffic counts; Directly across from Walmart Neighborhood Market, restaurants & multiple banking facilities. Neighboring businesses include Christus Trinity Mother Frances Hospital, Cole & Co., Sweet Frog, Primrose Path, and Villa Montez.